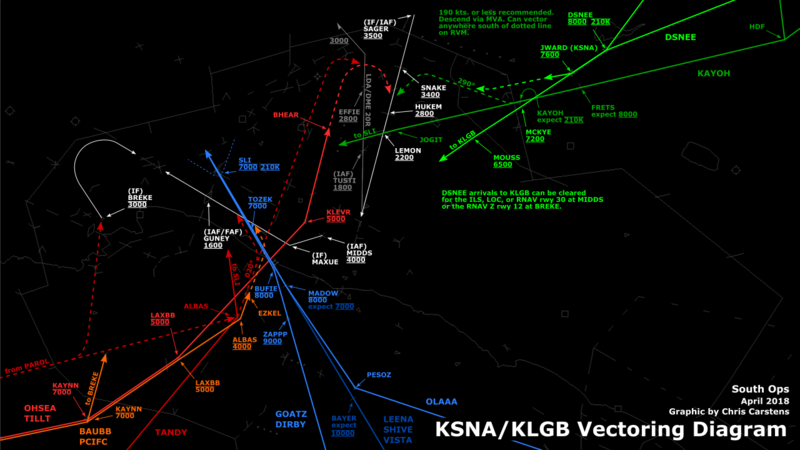 There are several ways a pilot can navigate on an approach. These include localizers, VOR radials, TACAN radials, NDB bearings, DME arcs, and area navigation (RNAV). For the most part, the means of navigation used by the pilot is transparent to a controller, but the phraseology for each type of navigation aid varies. For much more detailed information on each type of navigation aid, see the Aeronautical Information Manual chapter 1. Localizers are normally used with ILS approaches, and transmit a single course which is used to navigate to the runway with high precision (they also provide a “backcourse” signal in the opposite direction). Localizers can also be used to identify intersections (for example, see GUYBE intersection, a fix on V107, which is identified by the ILS 25 localizer at OXR) or for LDA (localizer type directional aid) approaches. The width of a localizer will vary based on the length of the runway. If the localizer is offset from the centerline of the runway by more than three degrees, it is called an LDA approach. For examples, see the LDA-C approach to VNY and the LDA 20R to SNA. 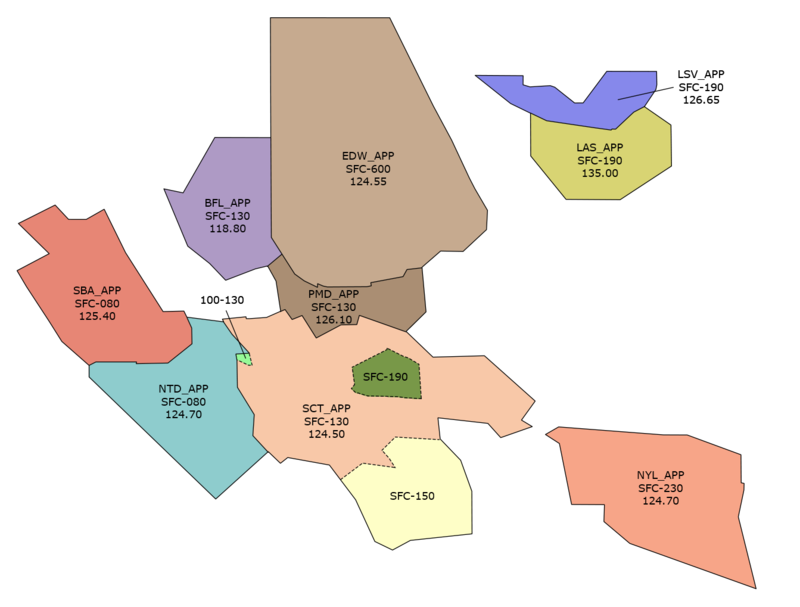 The means of navigation is the same for the pilot as it would be for an ILS or LOC approach. If a controller wants the pilot to intercept a localizer the phraseology should be “intercept the runway two five left localizer” or it could be just “join the localizer” if there’s only one for the airport or the pilot knows which approach to expect at the airport. An approach may also be defined using the “backcourse” of the localizer. 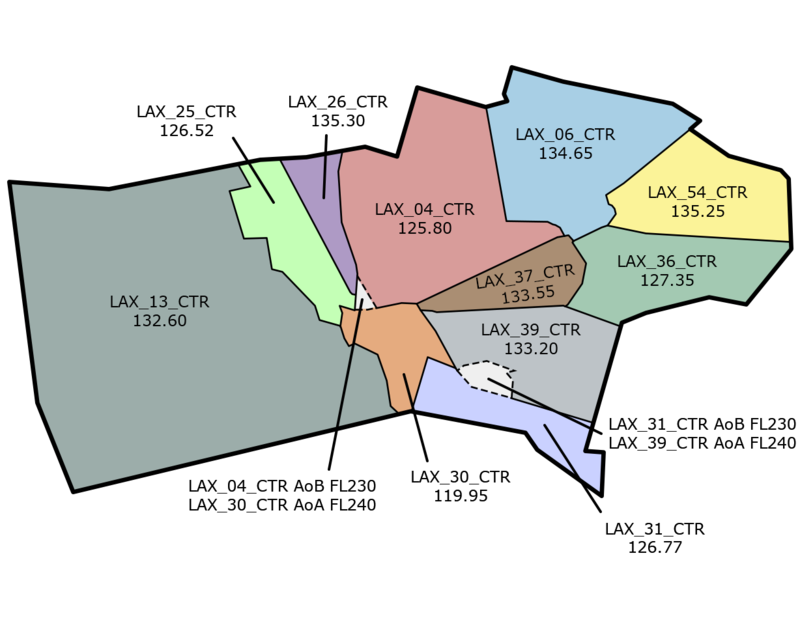 For examples of these, see the LOC/DME BC-A to SMX or the LOC BC 2L to SNA. There are many approaches based on VOR radials and TACAN radials. From a practical standpoint, a VOR or TACAN facility has 360 radials from it, each defined by the magnetic bearing from the station (e.g. a radial aligned with magnetic north is called the 360 radial, one aligned with magnetic south is called the 180 radial). From a controller’s perspective, a VOR and TACAN are exactly the same. TACAN is not modeled in the default version of MSFS, but pilots may have made modifications to MSFS so that TACAN navigation is available. The key thing to remember is that the radial from a VOR or TACAN is always expressed as the course from the station even if the pilot will navigate toward it. To instruct a pilot to join the SMO VOR-A final approach course you would instruct him to “join the Santa Monica zero three two radial” even though the inbound course is 212; it is also acceptable to just instruct the pilot to “join the VOR Alpha final approach course” in this case. The final form of navigation on an instrument approach is area navigation. This is normally thought of as GPS, but other systems can provide area navigation capability. These are discussed at length in the AIM. 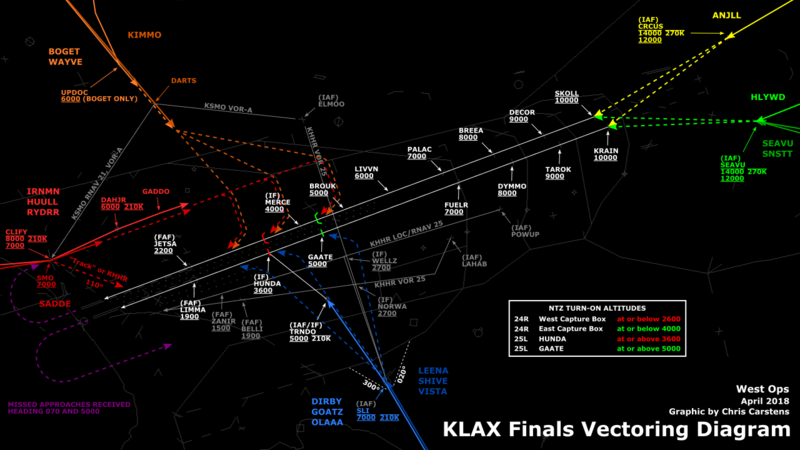 Area navigation allows a pilot to navigate directly (or even via curved paths like a DME arc) between fixes. 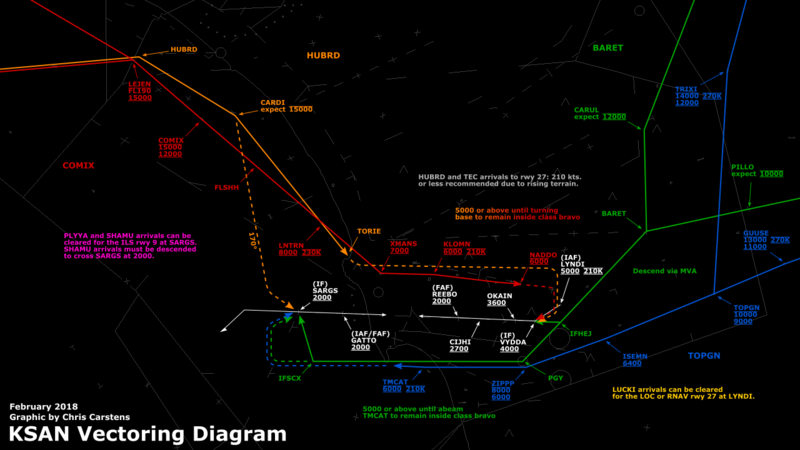 The phraseology associated with RNAV is pretty simple; it normally just consists of clearing pilots direct to fixes. Generally, RNAV approaches are the same as any other instrument approach. There are some subtle differences between RNAV approaches and conventional approaches; these differences are covered elsewhere in this lesson.